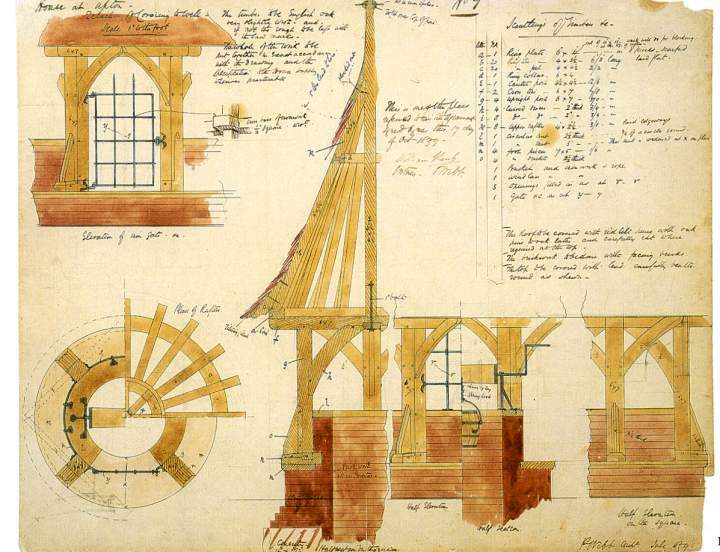 Architectural Drawings for the Red House (Details of the roof over the well) designed by Philip Speakman Webb for Morris & Co. 1859. Pen, pencil, and Watercolor. Victoria & Albert Museum, London. William Morris. Ed. Linda Parry. New York: Harry N. Abrams, 1996. Catalogue number I.4e, pp. 149.